Leisure activities: football, cultural trips, regulars’ table, women days, picnics, etc. Results: We seek to facilitate integration in a natural way and to give participants the freedom to shape their intercultural exchanges according to their own ideas. 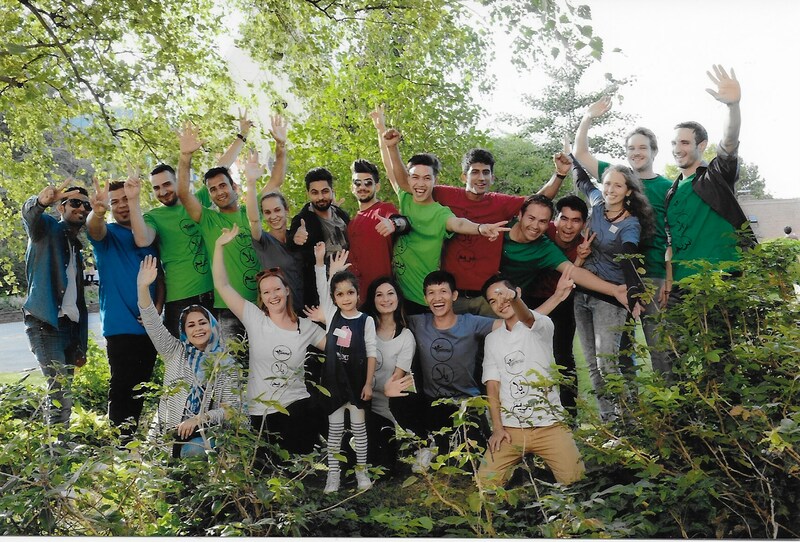 These activities, which are chosen by the participants, take place in a relaxed and informal atmosphere, allowing young people from different cultures to get to know one another and enjoy a lively exchange. These experiences often results in friendships, at the same time as offering young people the opportunity to build a social network. Results: In March 2017, we set up the Erzählcafé & Infobüro (Community Café and Information Office), helping young people make contact with the authorities (for such actions as registration, deregistration, employment service appointments, assistance with the asylum process, etc. ), find housing, find employment and navigate the application process. It also enables our participants to exchange views over a cup of coffee or tea. Results: Support in learning German, but also in studying for exams. Thanks to our study buddies, we are also able to offer private coaching. Results: We offer our participants to promote their domestic services through our website. Through the domestic service voucher scheme, Asylum Seekers are allowed to work. We also hold workshops and projects that seek to help participants discover their own talents and interests, as well as carry out activities that may correspond to future professional goals. In preparing for various events, we also carry out smaller projects in which we work to create and achieve something together. Integration activities at the Waldorf school Graz school year 2016/2017 and summer semsters 2018. SEKEM Österreich, Stadtteilzentrum Jakomini, Freie Waldorfschule Graz, ISOP, Wakmusic, etc. Yes, we have had 6 interns, who finished or are finishing heir obligatory internship at our association.